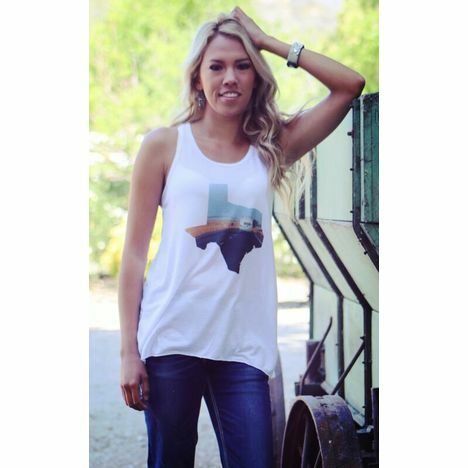 Wanderlust: n. a strong desire for or impulse to wander or travel and explore the world... or least Texas. This gathered back flowy racerback tank is from the Water Color Collection. Care Instructions: Machine wash cold with like colors inside out. Non-chlorine bleach when needed. Do not use fabric softener. Tumble dry low. Do not iron decoration/image.